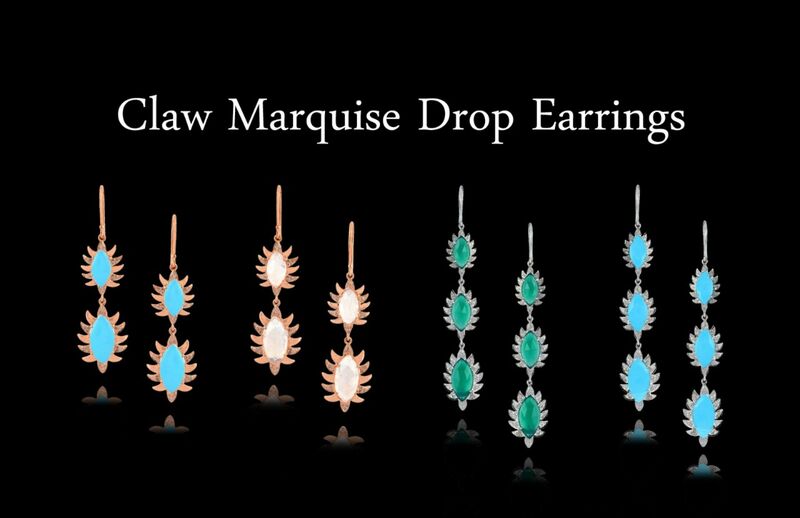 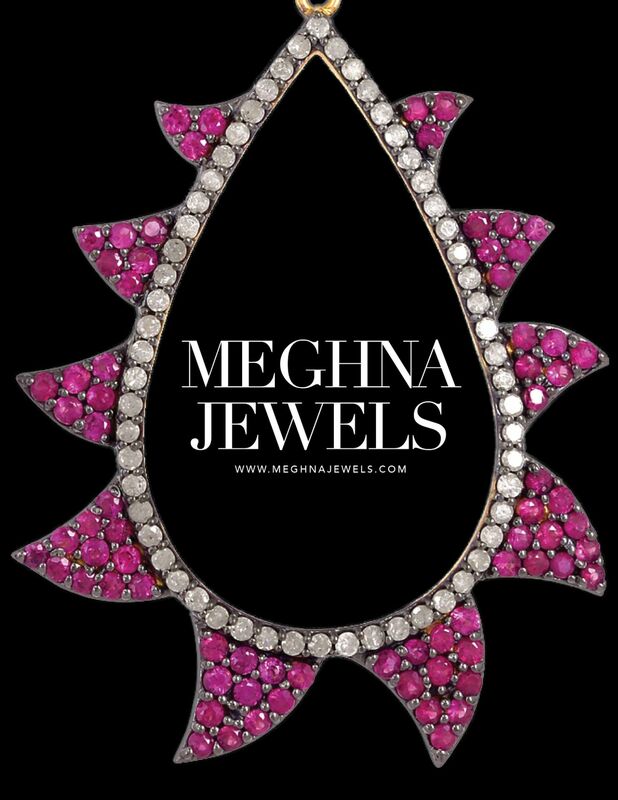 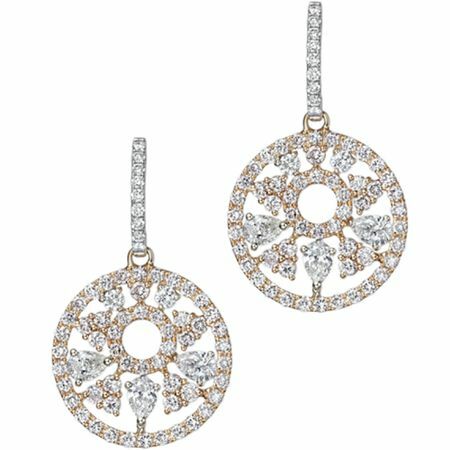 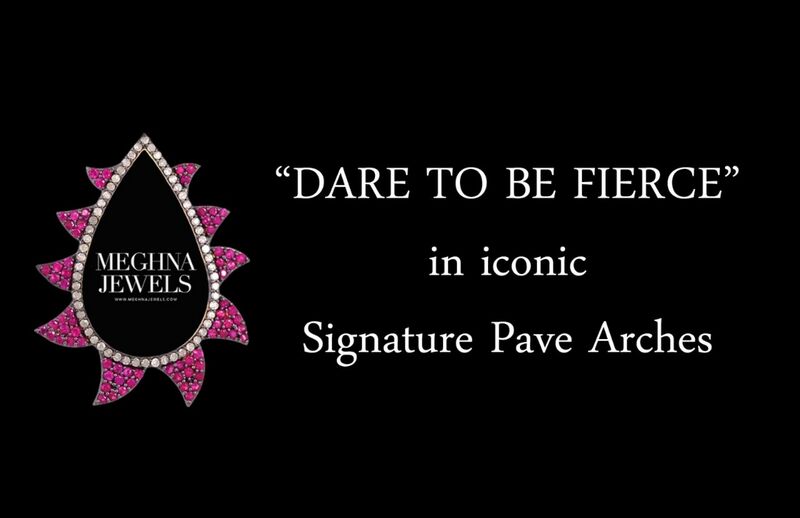 Meghna Jewels renowned for its fierce and modern jewelry, highlighted with signature pave diamond arches in these triple drop Claw earrings. 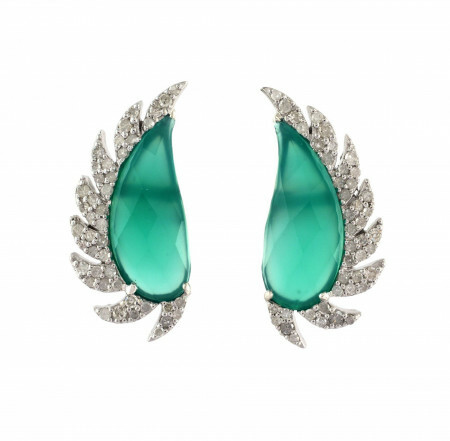 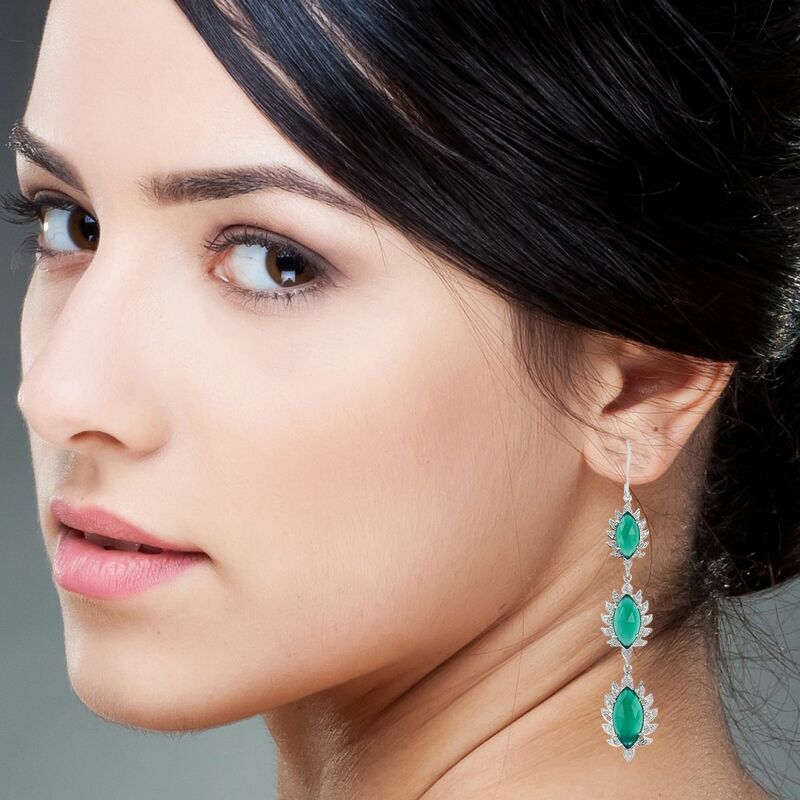 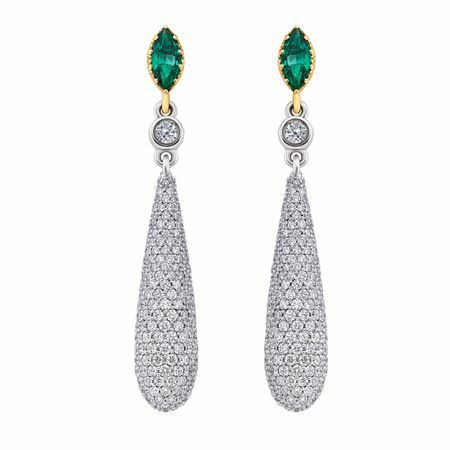 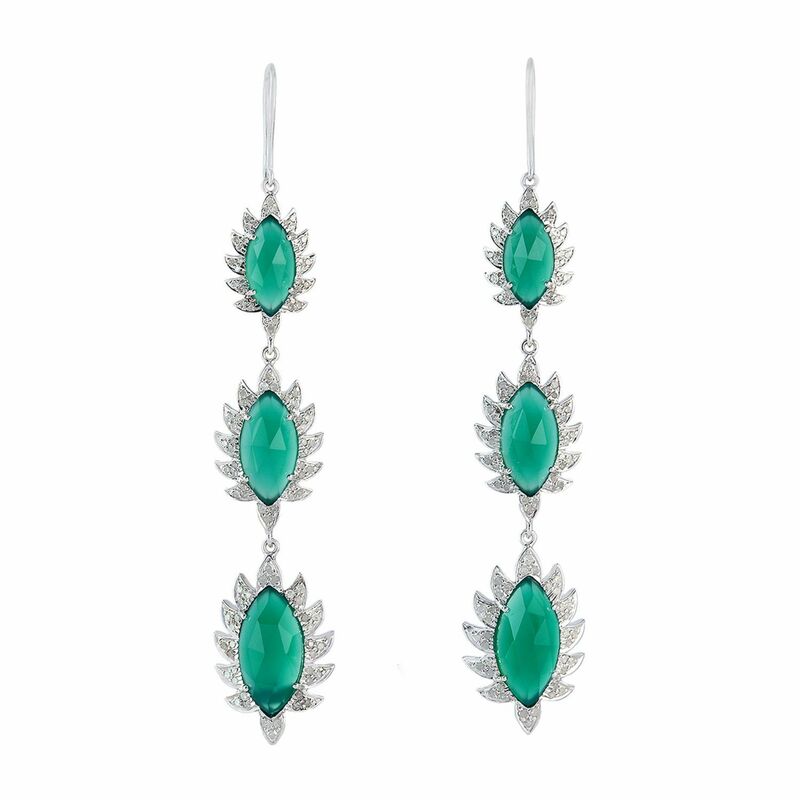 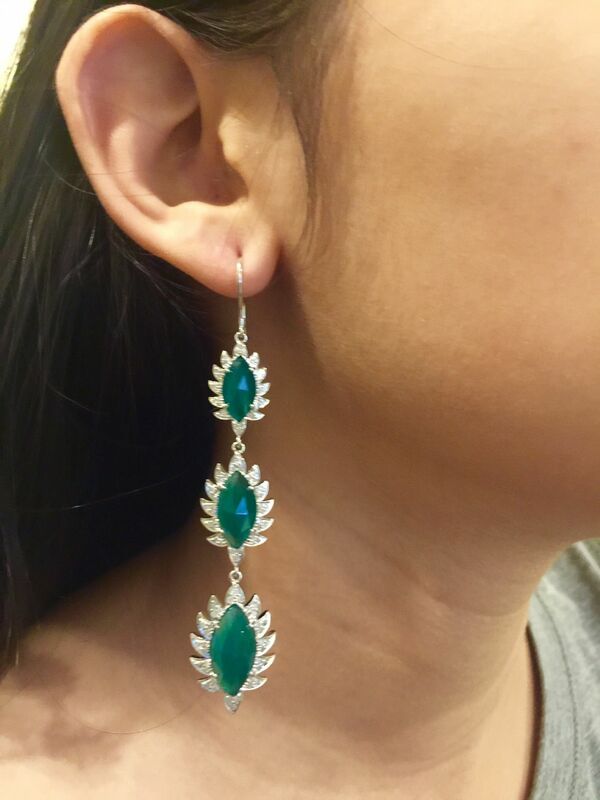 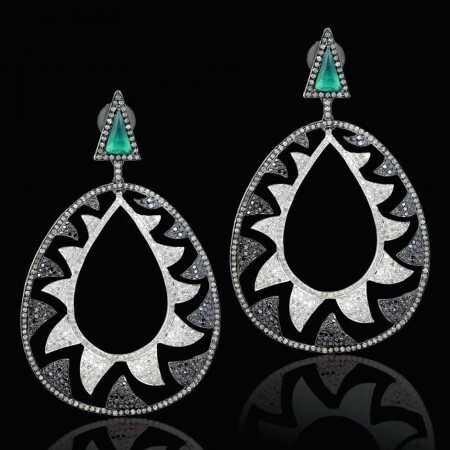 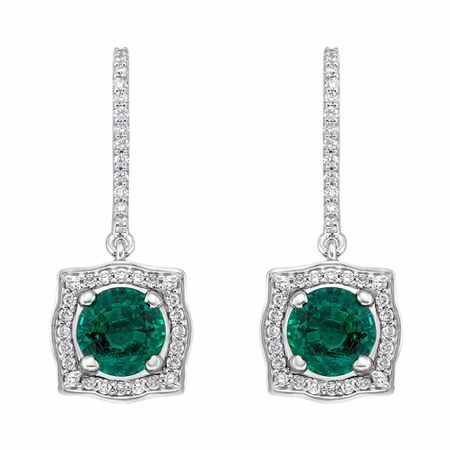 These gorgeous drop earrings are handcrafted in 18K white gold, sterling silver, 1.54ct diamonds and 11.73-carats rosecut green chalcedony, french hook closures. 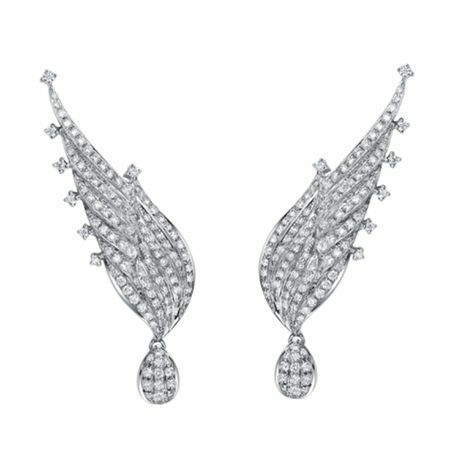 A fabulous way to add some subtle glamour and edge to your everyday or evening look.